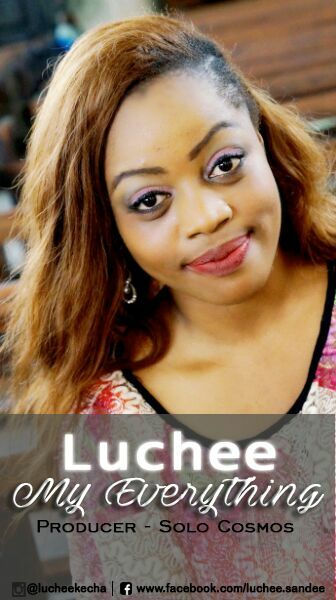 LUCHEE is a young gospel music artiste from The Believers‘ LoveWorld Nation. The Nigerian born and Lagos Based young singer, is multi talented, gifted and blessed with an iconic vocal prowess and legendary stage artistry. The beautiful and anointed singer found her love for music since age 6 and began to sing before pleasant crowds from age 16. In a chat with this music phenomenon whose voice has been described by many as a G-factor, concerning her new single release today, she said this: The song “My Everything” is the beginning of an episode in my life as a Christian. So I choose to share my love for Jesus and experience of his mighty saving power with millions around the world through this song. This song encapsulates all about my life and journey as a Christian, and I trust every song from LUCHEE is a way of the Spirit of God moving to change lives. However, for us, we know how to cease the moment to bring to you our precious fans thoughts and updates that will bless you! LUCHEE dropped her single today and is already trending here and on other platforms. According to the singer, the Producer Solo Cosmos did a great job. Solo Cosmos is an amazing young music producer from Christ Embassy. He is also the host and convener of JDS (Jesus On Da Street) a music outreach concert with mission of taking the divine presence of God to every broken life and gangster in the inner cities and giving their lives a meaning. The creative producer whose jobs are always clean and studded with rare finesse has produced for both rising and A-list artistes including the recent Song “Jesus is Coming Back Again” by De-Ola featuring Israel Strong. His detailed background in music production is also an effect from his fruitful relationship with the African Foremost Gospel Music Producer ‘A4jeazy’. Now ladies and gentle men, kindly Join thousands around the world to proclaim Jesus as your everything even in that situation that seems hopeless and watch your miracle take place. To have LUCHEE minister in your church and events, kindly call the IWAB hotlines or send us an email for adequate arrangement and booking. Thank you and God bless you!